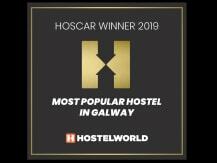 We’ve been Galway's leading hostel for over fifteen years. 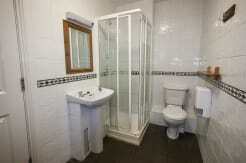 We’re clean, safe, and friendly - and always great value for money. Our location in the centre of Galway puts us just 100 meters from Eyre Square. We’re just a short distance (three minutes’ walk) from the central bus and train station (Bus Eireann and Irish rail will get you to here) and the coach park (a variety of private bus companies operate from here). All of the action in Galway is just around the corner, but not outside our windows, so you should get a good night's sleep. Our facilities include free internet and free Wi-Fi plus U.S. and Continental European electric sockets for using your notebooks without the hassle of adaptors. The fully equipped, excellent, self-catering kitchen can cater for large groups but also has nooks for smaller groups or individual travellers. 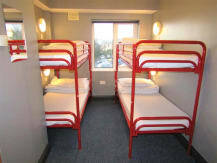 Our other amenities include vending machines, payphones, self-service laundry, foosball, a TV lounge and our reading lounge with an excellent selection of travel books and books of Irish interest. Security is important to us. With this in mind, there’s key-card access to front of house, stairwell and individual rooms; electronic luggage lockers, free use of laptop and valuables lockers in lobby plus the largest number of female-only dorms in Galway. Explore the west of Ireland from our doorstep! We have discounted tickets for tours to the cliffs of Moher (in the Burren region) and Connemara and tour buses collect (and drop off in the evening) at our front door, daily. 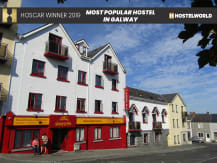 We have plenty of maps and guidebooks and if you get there and realize you would like to stay the night, we have sister hostels in both Connemara and Burren! Moving to Galway? 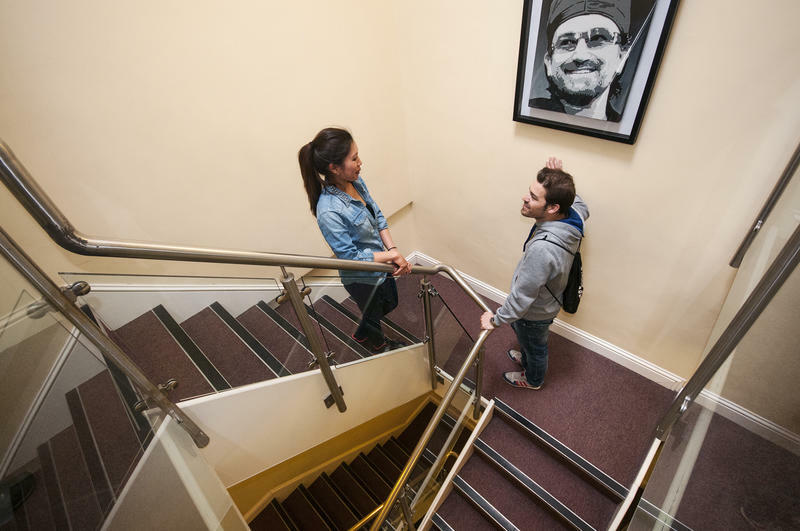 We have information on everything you need - accommodation, jobs, getting set up with a phone, opening a bank account and we can advise you while you get settled here in those first few weeks! Please see our Must-Read Hostel Info below before booking. Photo ID is required at check-in; we cannot check you in without it. Photo ID must be a valid and state date of birth. Check-in: 3pm. If you arrive earlier, you're welcome to leave your bags with us until then, chill out and have a cuppa. Please note that Sleepzone Galway is an alcohol-free zone. Galway is a party town. 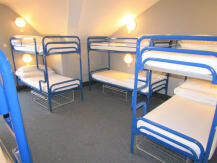 Accommodating over 200 people/night, we feel our priority is to provide a fun, safe, clean, friendly , value for money accommodation - for groups, for individual travellers, for families , for people of all ages and nationalities. For group bookings of four people or more, we may charge a group security deposit of €25 per person. This is payable on arrival by cash or credit card and is fully refundable on departure, subject to adherence to our house rules, which can be emailed to you upon request. For group bookings of more than eight people, we request full payment a month before arrival. Payment can be made by card or bank transfer. All bookings are pre-authorized on the day of arrival. If the pre-authorization is not successful we reserve the right to cancel your booking. 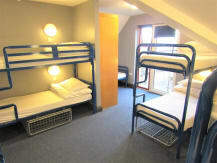 All persons under 18 years of age must be accompanied by a supervising adult, and must be booked into private accommodation i.e. not sharing with other people. We have a maximum stay policy in place of 7 nights. 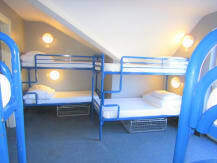 Should you wish to stay longer than this period, please contact Sleepzone Management. YHA membership discounts only apply to our rack rate. Discounted online rates/group discounts and other discounted rates cannot be subject to further YHA membership discounts. 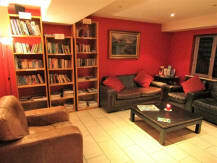 A light breakfast is included each morning between 7.00am - 10.00am and complimentary tea and coffee is available all day. 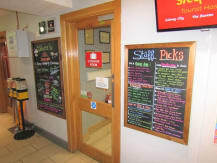 Exit the coach station and walk right, towards the traffic lights outside Anglo Irish Bank. Walk up Bothar Ui Eithir (the road that divides Anglo Irish Bank on the right and Mace convenience store on the left). At the top of Bothar Ui Eithir turn left. Then take the first right onto Bothar na mBan. 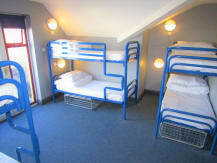 You will see Sleepzone about 80 metres ahead on the left hand side. Please note that Bothar Ui Eithir is a one-way street. You can walk but not drive up. The station is beside Eyre Square in the centre of Galway City. When you exit the station cross over to Garvey�s Bar and, keeping Eyre Square on your left, walk to the top of the street. At the top of Eyre Square turn right. You will see a large TK Maxx store in a modern building across the street (Prospect Hill). That\\\\\\\'s where you take the next turn left (Bothar na mBan), and you will see Sleepzone about 80 metres down on the left hand side. 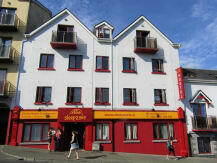 Directly across the road from the Tourist Office is Anglo Irish Bank and Bothar Ui Eithir. Walk up Bothar Ui Eithir (the road that divides Anglo Irish Bank on the right and Mace convenience store on the left). At the top of Bothar Ui Eithir turn left. Then take the first right onto Bothar na mBan. You will see Sleepzone about 80 metres ahead on the left hand side. Please note that Bothar Ui Eithir is a one-way street. You can walk but not drive up. From the Dublin Road into Galway follow the signs for Clifden until you reach the stop/go roundabout (the roundabout with traffic lights). Take the (2nd) exit for the city centre. Drive about 500m and take second left turn (opposite Dyke Road). 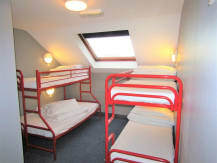 You will see Sleepzone about 50m ahead on the right hand side. 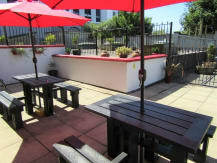 We are just a short distance (three minutes' walk) from the central bus and train station (Bus Eireann and Irish Rail will get you to here), and the coach park (a variety of private bus companies operate from here) and 100 metres from Eyre Square. All of the action in Galway is just around the corner, but not outside our windows, so you should get a good night's sleep. We have discounted tickets for tours to the Cliffs of Moher and Connemara and tour buses collect at our front door, daily.